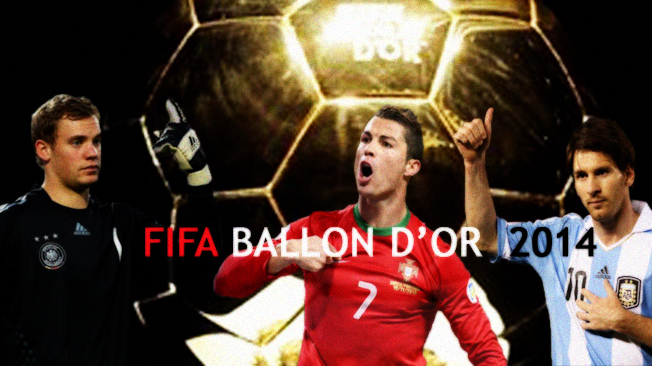 Cristiano Ronaldo, Lionel Messi and Manuel Neuer are the final nominees of the Ballon D’Or as announced by FIFA. Speculations are increasing day by day that who will take the Prestige to their side. Manuel Neuer who is already the world’s best goalkeeper and survived Germany in the World Cup Title 2014 has a pretty good chance of claiming the FIFA Ballon d’Or. Ronaldo who has hit a staggering 55 goals in 55 games this year and inspired his side to Copa del Rey and Champions League titles is also not less in claiming the title. Lionel Messi who claimed the title not once or twice but three times in a row from 2010-2012 had a disappointing season by his standards and seems little less in the race. As the title will be awarded based on votes by coaches and captains of international teams, as well as journalists from around the world it is hard to judge who will get it. News posted by GOAL claims that the former Portugal international Luis Figo believes Real Madrid superstar Cristiano Ronaldo will overshine Barcelona ace Lionel Messi and Bayern Munich ‘sweeper-keeper’ Manuel Neuer to the 2014 Fifa Ballon d’Or.